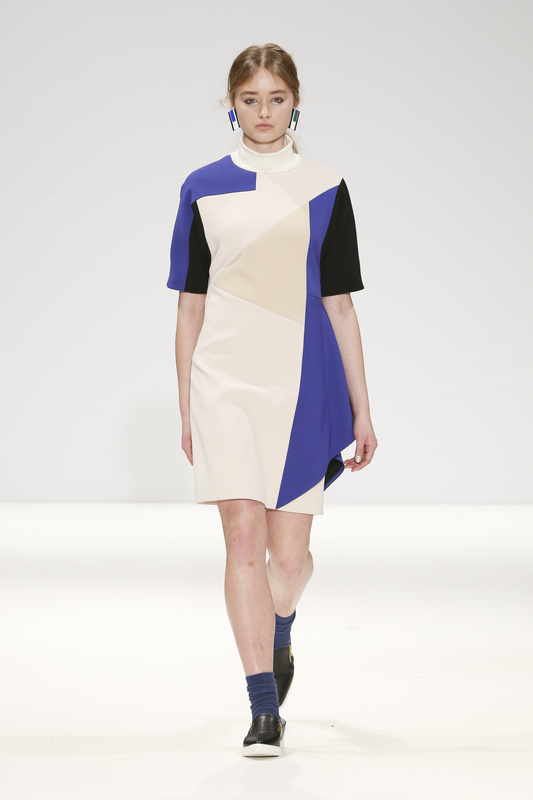 J MOON IS A FRESHLY LAUNCHED BASED IN LONDON WOMENSWEAR LABEL. 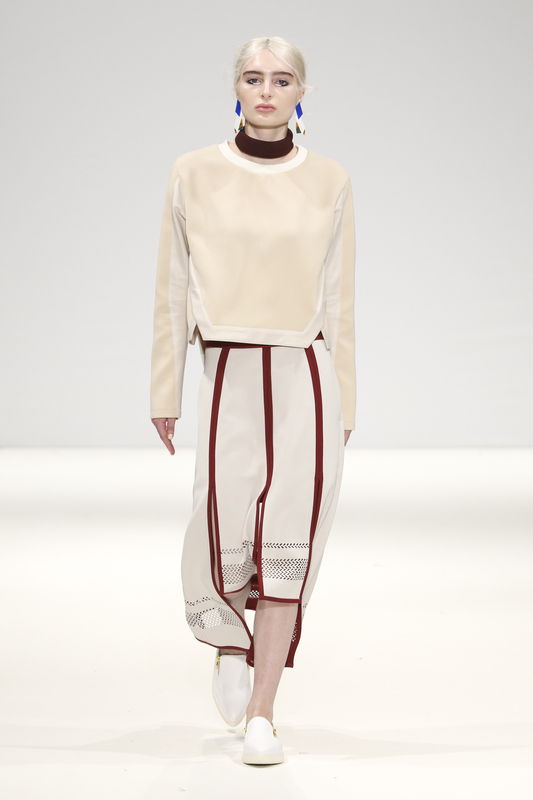 DESIGNER JINHEE MOON GRADUATED FROM LONDON COLLEGE OF FASHION IN 2014. 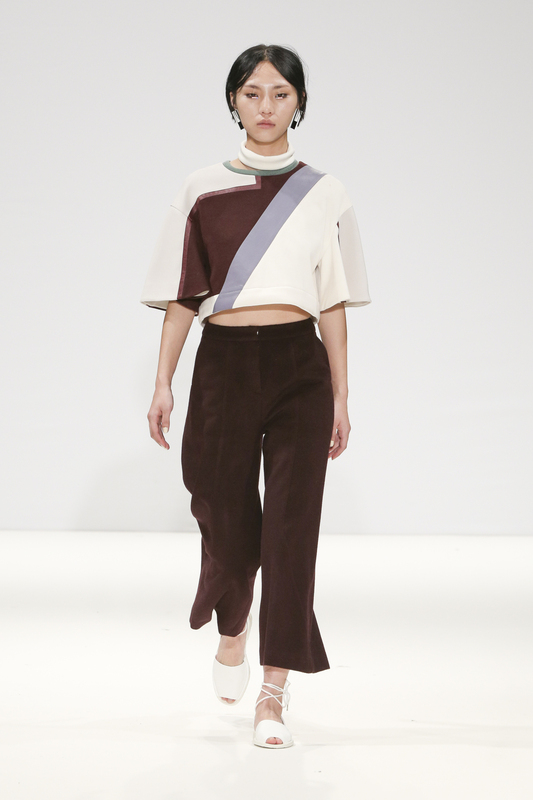 JINHEE WAS THE ONE OF TWENTY SEVEN FINALISTS CHOSEN TO PRESENT COLLECTION AT THE LCF 2014 BA PRESS SHOW AND WAS THE WINNER OF 'THE BEST DIRECTIONAL USE OF COLOUR & TEXTILE AWARD' AT THE SHOW. FROM THIS CATWALK SHOW, SHE FEATURED IN MANY PRESS AND SELECTED THE ONE OF 200 EMERGING DESIGNERS IN ITALIAN VOGUE TALENTS IN 2014. JINHEE FINDS FUN IN DESIGN REALIZATION OF 2D DRAWING TO 3D GARMENT. TRYING NEW THINGS TO GET INSPIRATION FROM LIFE STYLE AND PARTICULARLY KEEN ON ARTWORKS TO APPLY TO THE UNIQUE AESTHETICAL AND INTERESTING FASHION DESIGN. 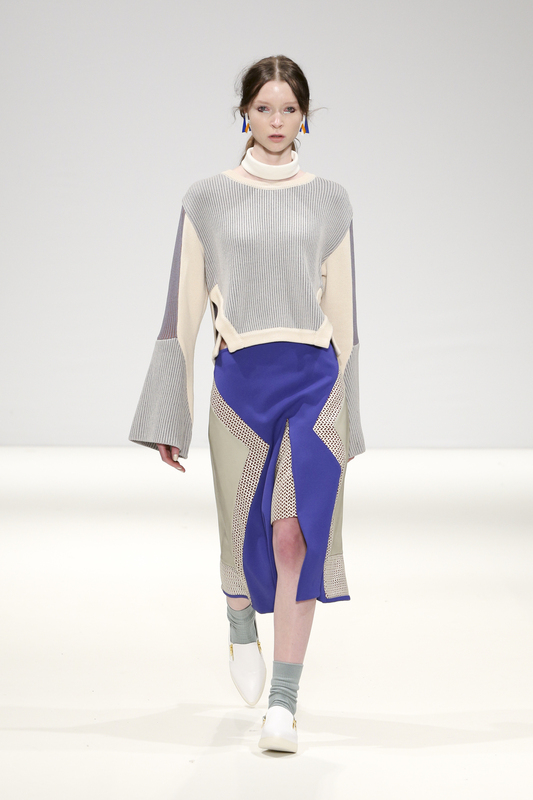 LOVE TO MAKE AN EXPERIMENTAL GARMENTS WITH UNUSUAL MIXTURE OF TEXTURE, COLOUR AND SHAPE. 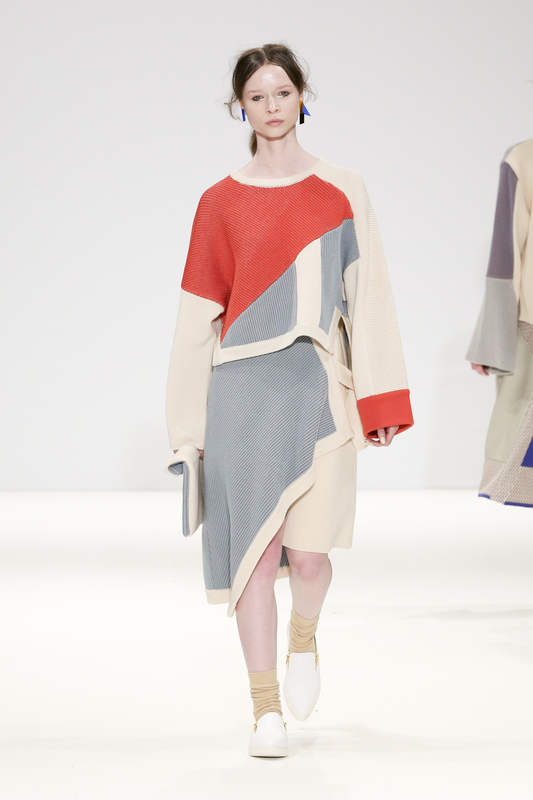 PLAYFUL, ODD BUT NEW AND INTERESTING AESTHETIC IS THE UNIQUE SIGNATURE OF JINHEE MOON'S DESIGN AND THE BRAND 'J MOON'. 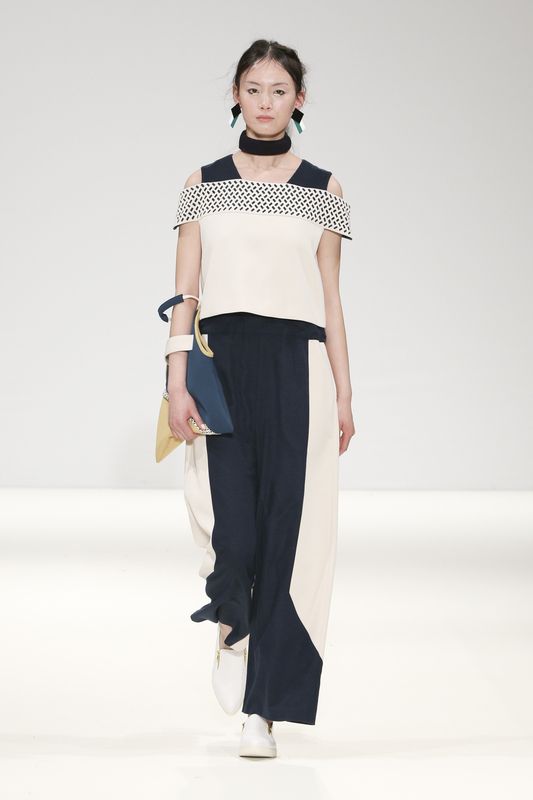 IN FEBRUARY 2015 JINHEE WAS AWARDED FASHION SCOUT'S COVETED "ONES TO WATCH" AWARD. 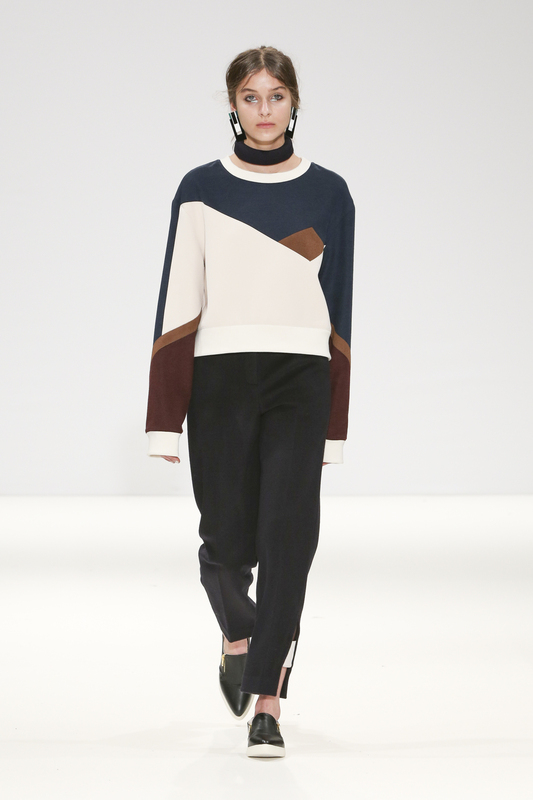 SHE RECEIVED A SPONSORED COLLABORATIVE CATWALK FOR AW15 ALONGSIDE THE OTHER RECIPIENTS, SUPPORTED BY FASHION SCOUT DURING LONDON FASHION WEEK.